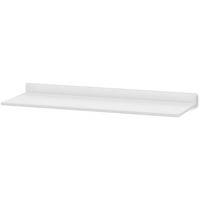 HON White Modular Counter Top HONHPCT72W $265.59 Create your ideal breakroom or cafeteria by combining this modular countertop with a HON Hospitality Cabinet sold separately. Durable laminate countertop can span multiple base cabinets to provide a seamless, easy to clean surface. Scratch resistant, spill resistant and stain resistant laminate withstands boiling hot liquids.